The global antibiotic resistance epidemic: how can we stem the tide? Dr. Joshua Freeman, Clinical Microbiologist for the Auckland District Health Board, discusses how international travel has contributed to the development of world-wide resistance to antibiotics. International travel has increased over the last 20 years to the point where, in 2010 alone, international tourist arrivals were estimated to be 940 million globally. This phenomenon, along with an increase in migrant workers, has led to unprecedented movement of antibiotic resistant organisms across international borders. One of the best examples over the last decade has been the worldwide dissemination of a particular resistance gene from the Indian Subcontinent, known as ‘CTX-M-15’. 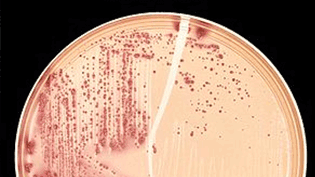 CTX-M-15 is an “extended spectrum beta-lactamase” (ESBL) – a class of gene that confers resistance to nearly all penicillin-like antibiotics and their derivatives, leaving very few antibiotic treatment options available. Although CTX-M-15 is found mainly in Escherichia coli (E.coli), it is carried on mobile genetic elements known as plasmids, which readily transfer between different bacterial species. This makes the spread of CTX-M-15 particularly difficult to contain.